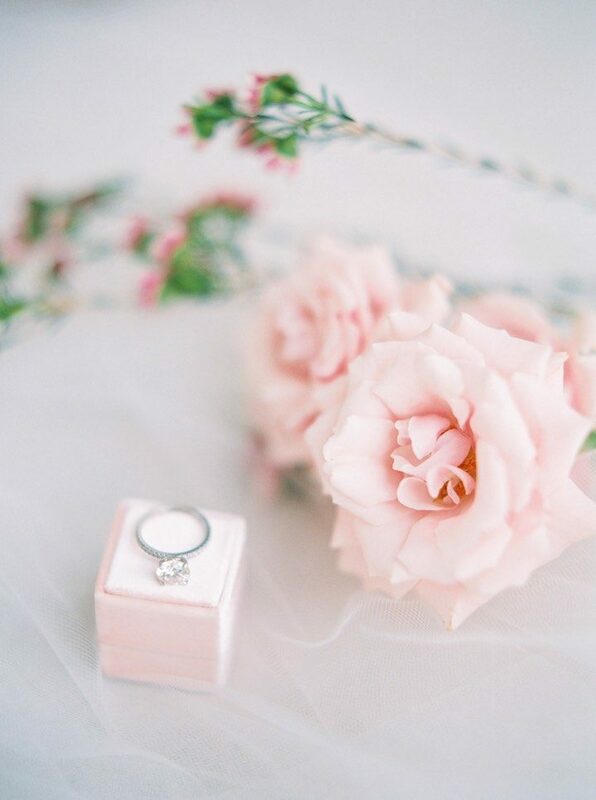 If you’re looking for a sentimental wedding venue, what has more memories than your parents’ home? 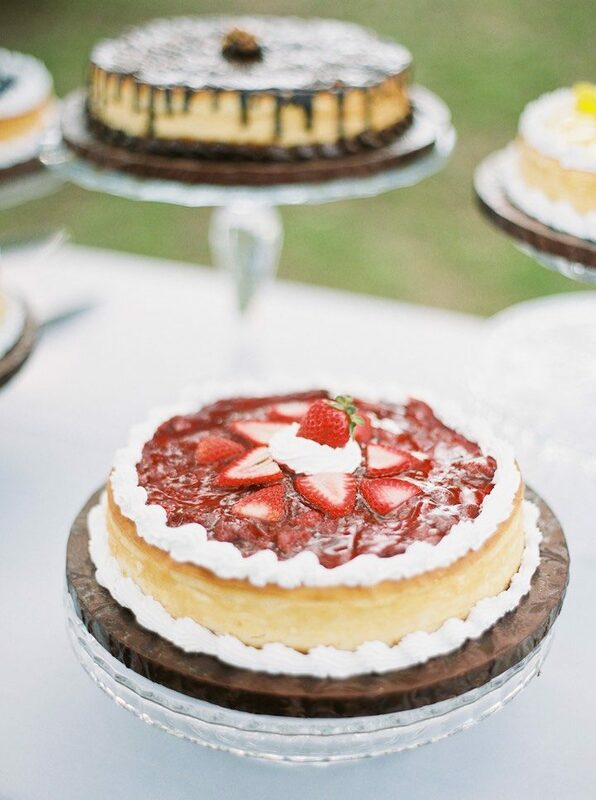 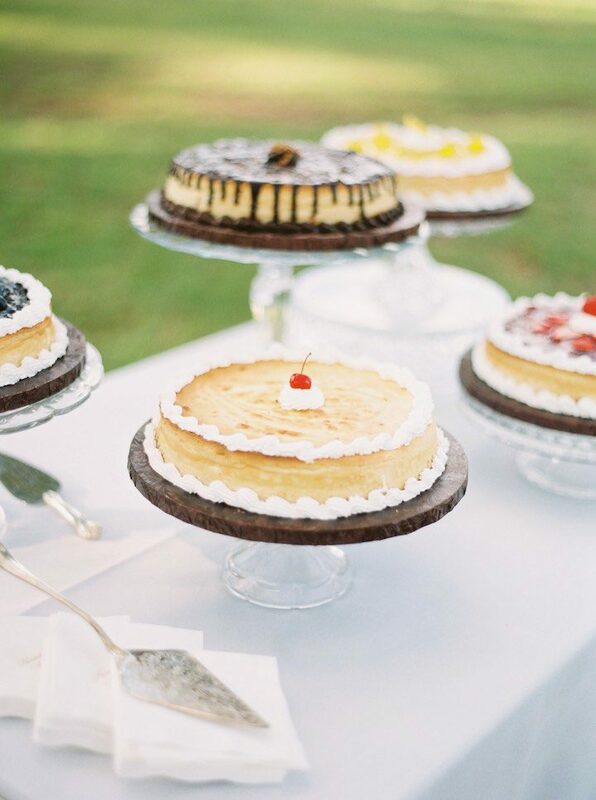 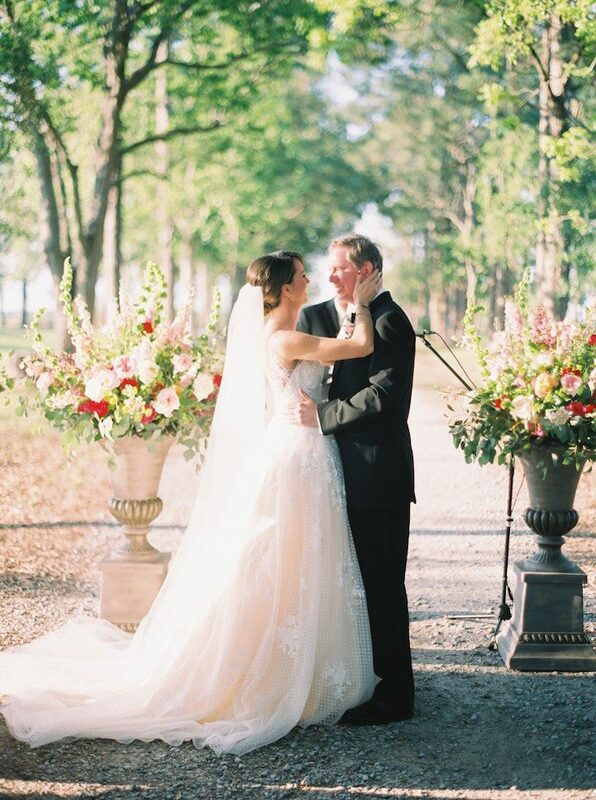 Hannah and Brian tied the knot with an elegantly chic al fresco celebration. 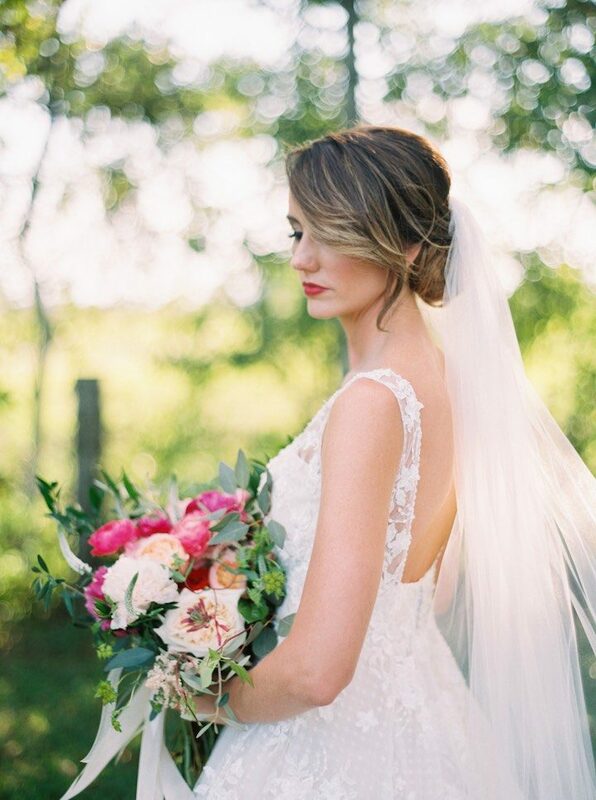 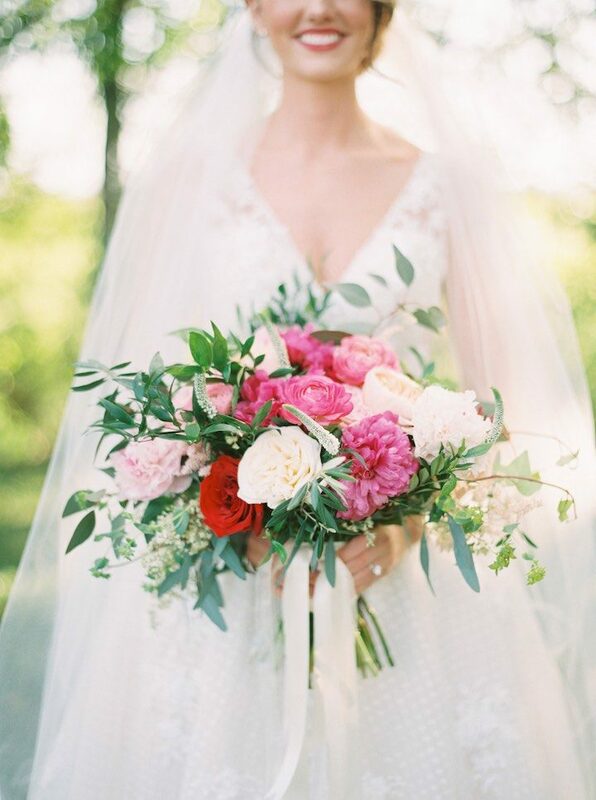 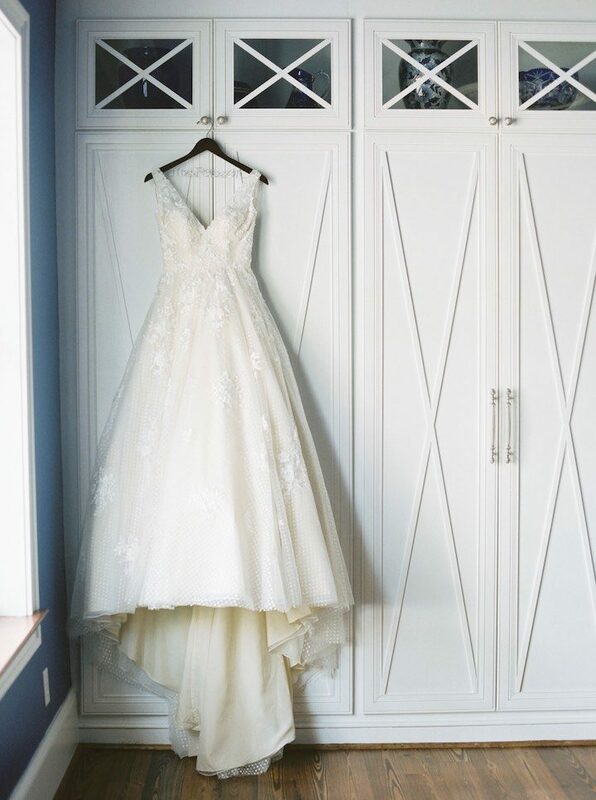 The bride wore the most beautiful Maggie Sottero gown which featured a plunging neckline and full skirt and the bridal party held lush, vibrant bouquets with pops of pink and red. 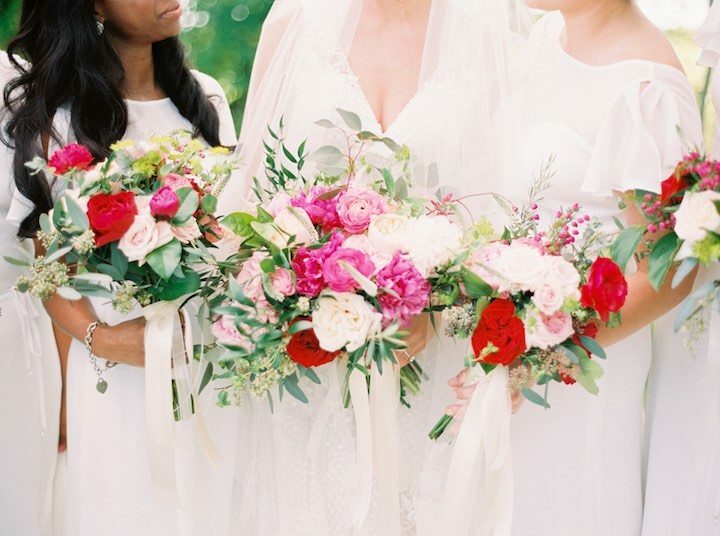 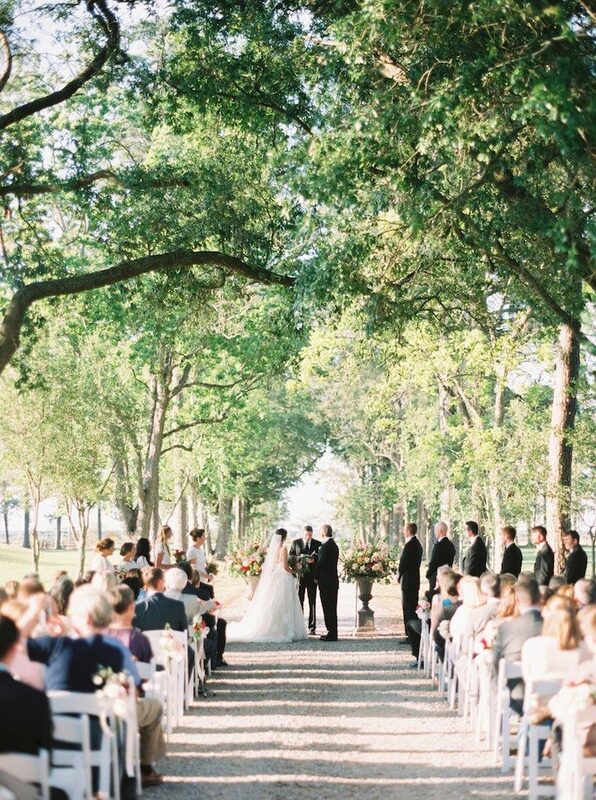 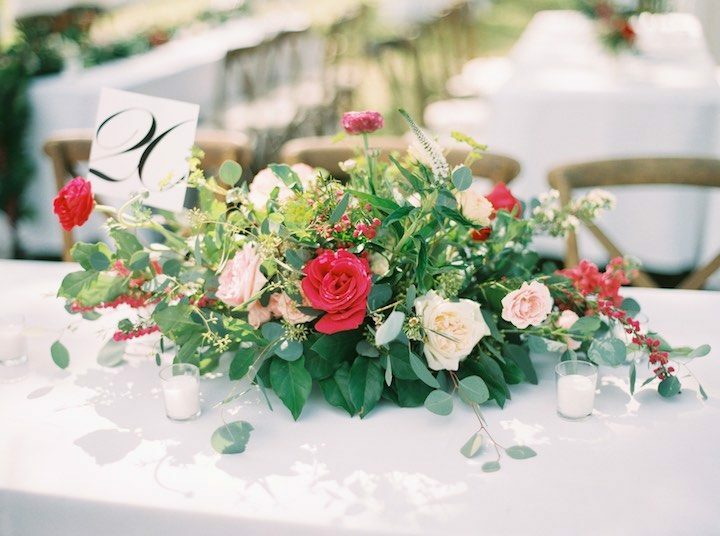 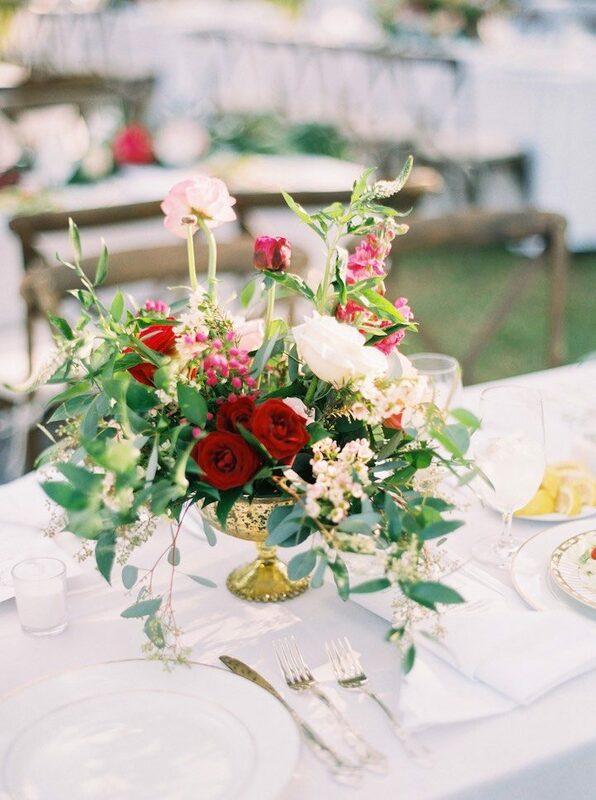 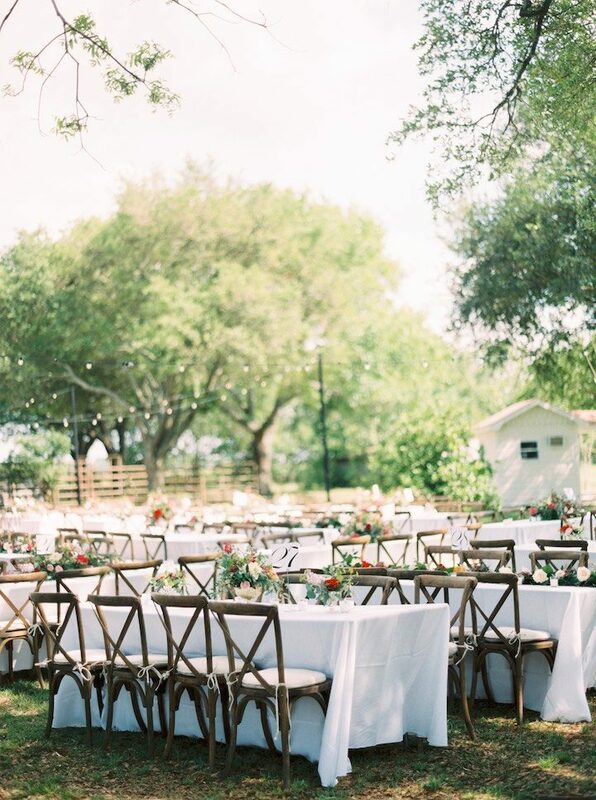 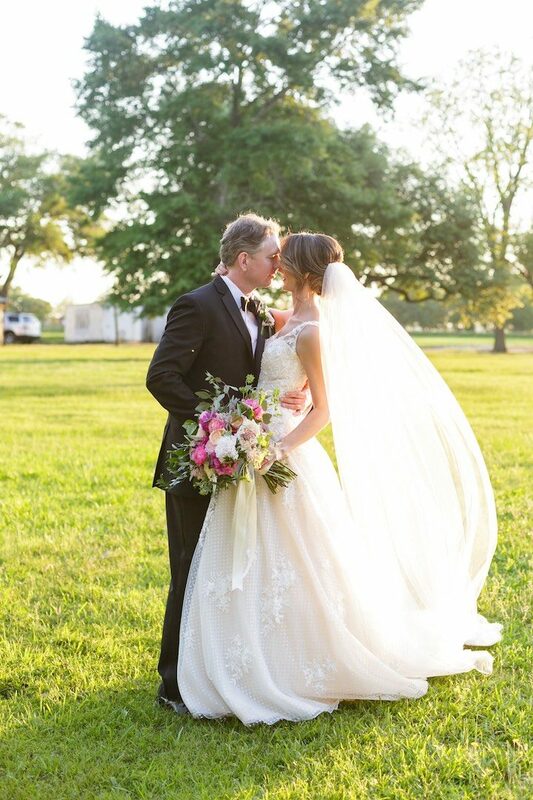 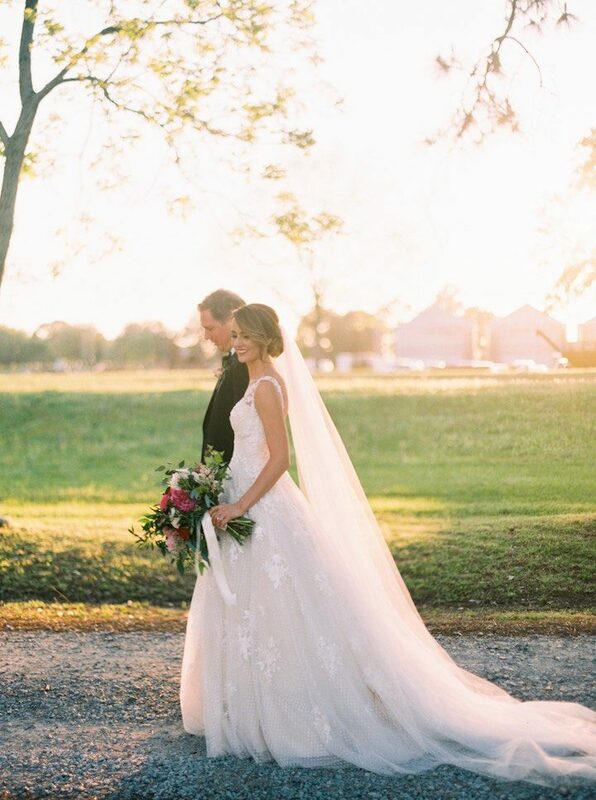 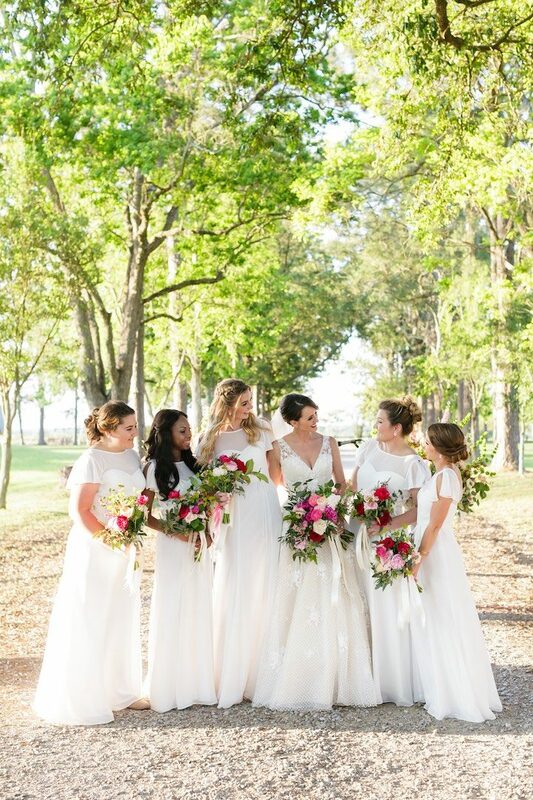 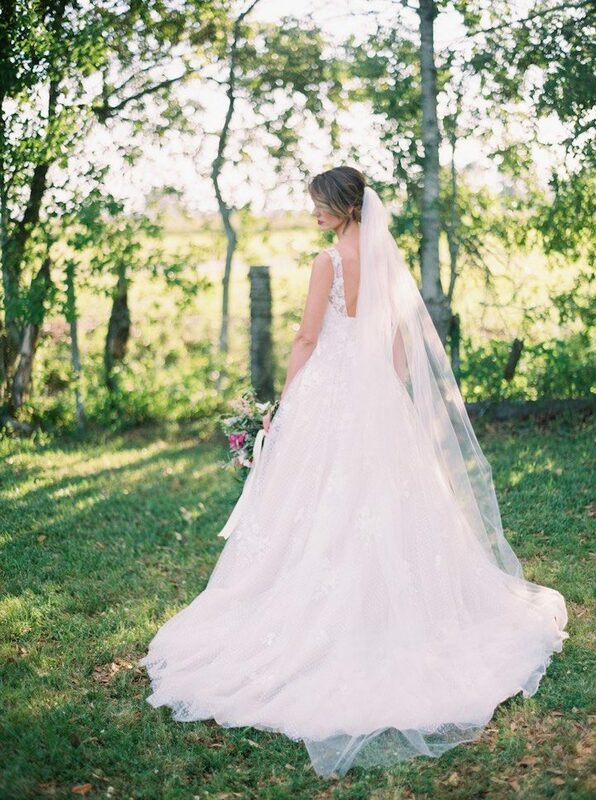 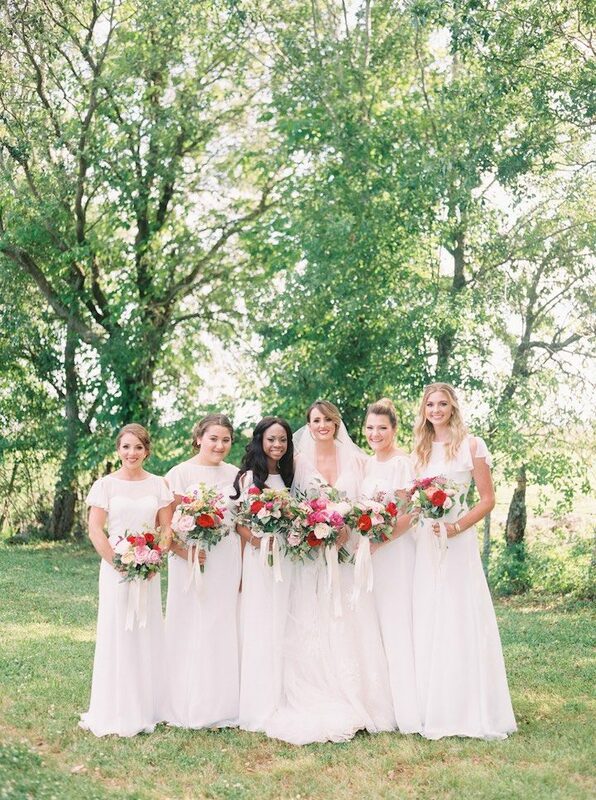 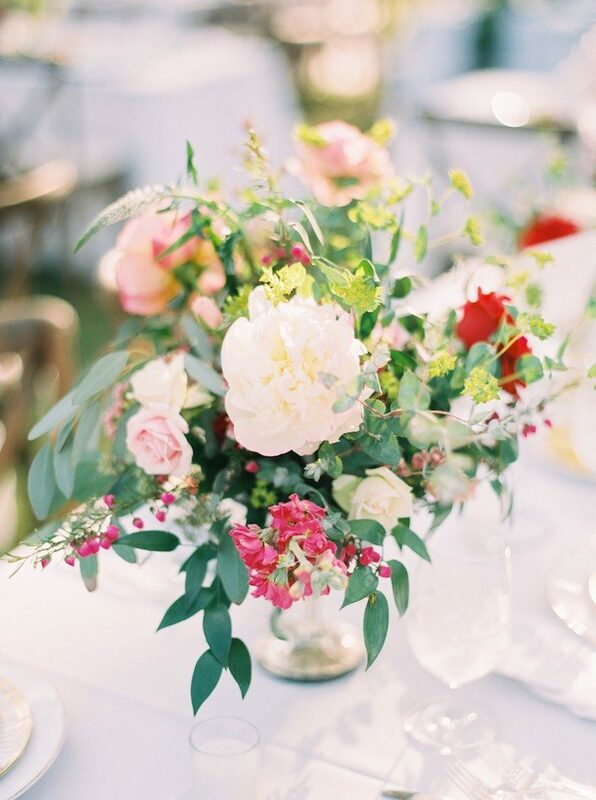 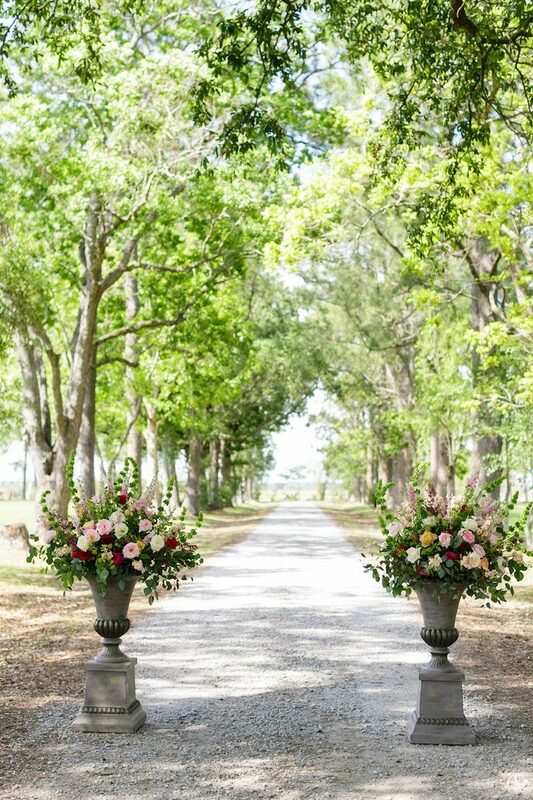 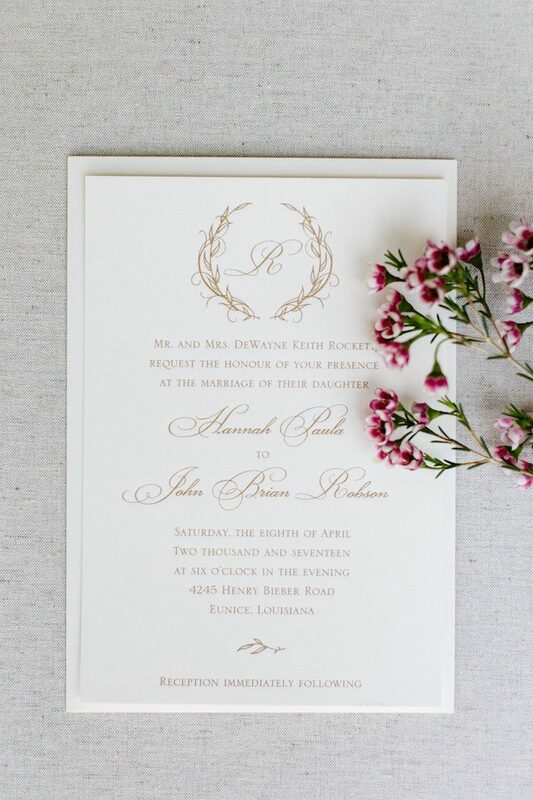 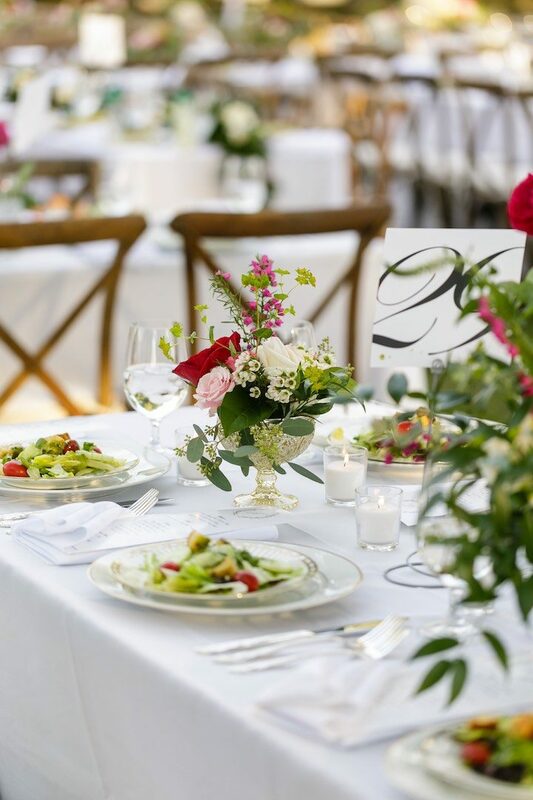 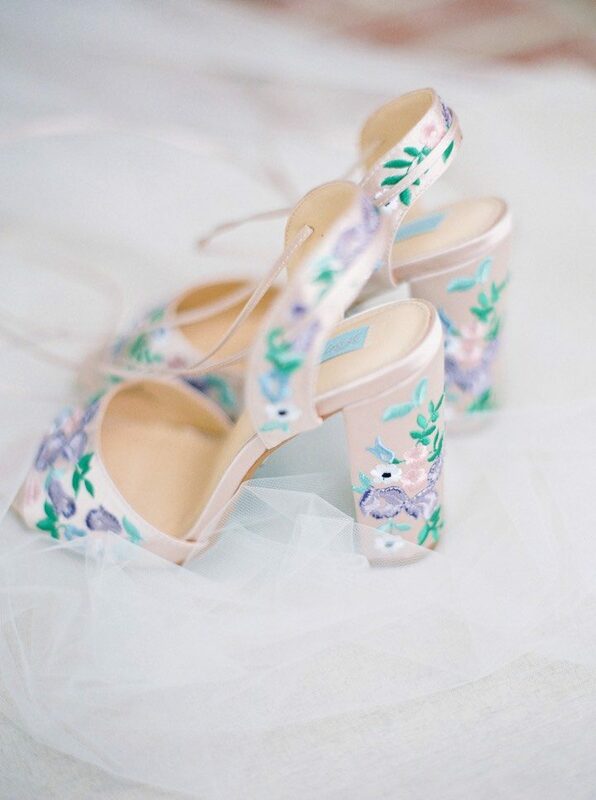 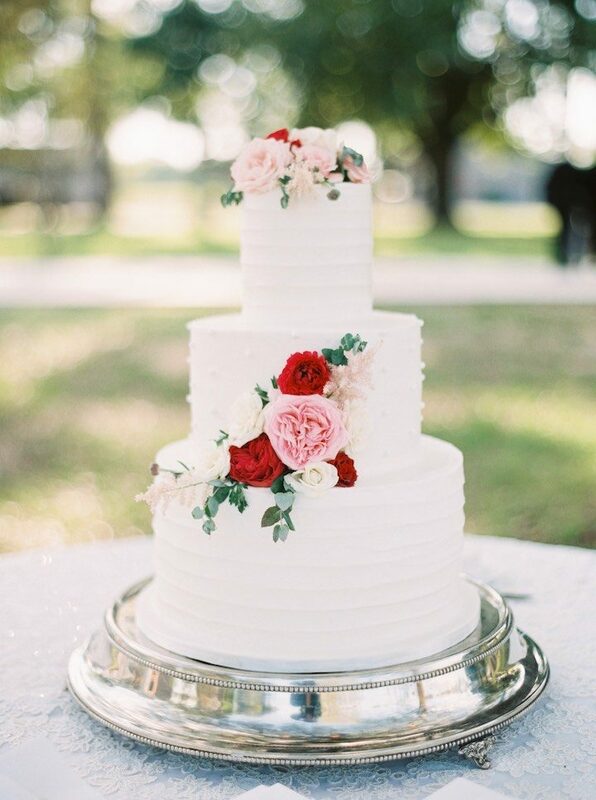 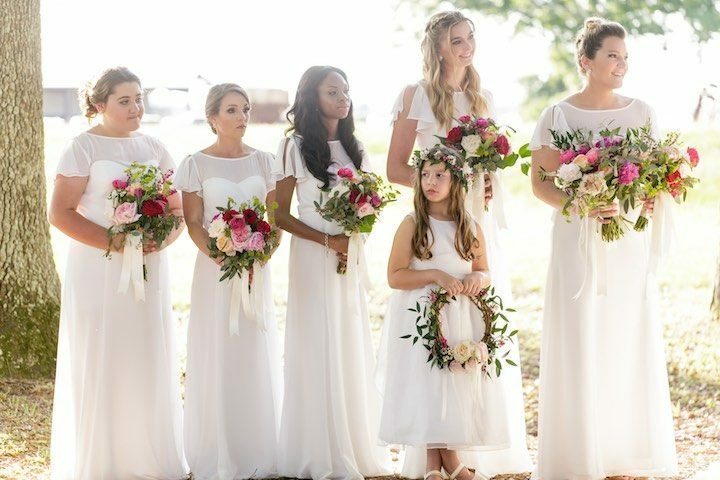 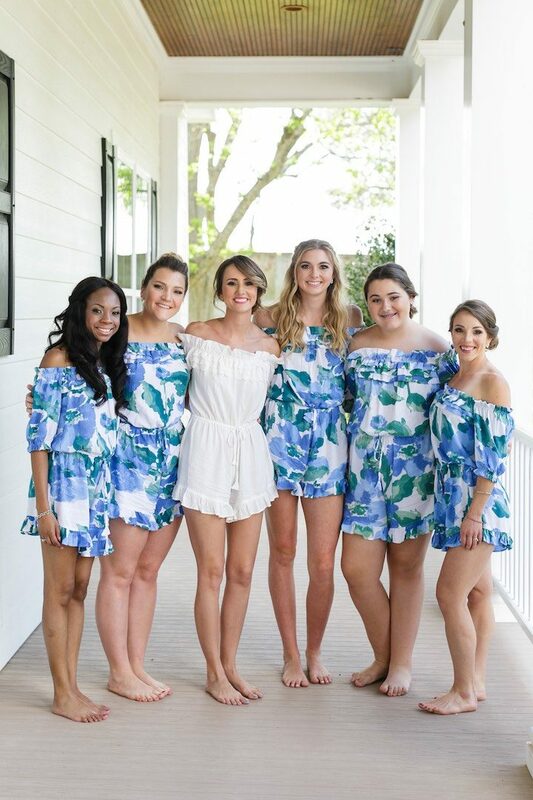 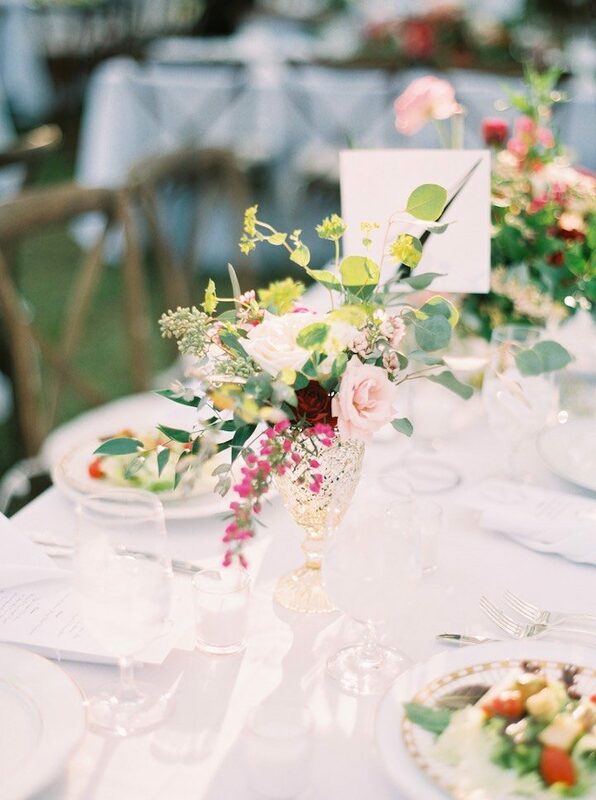 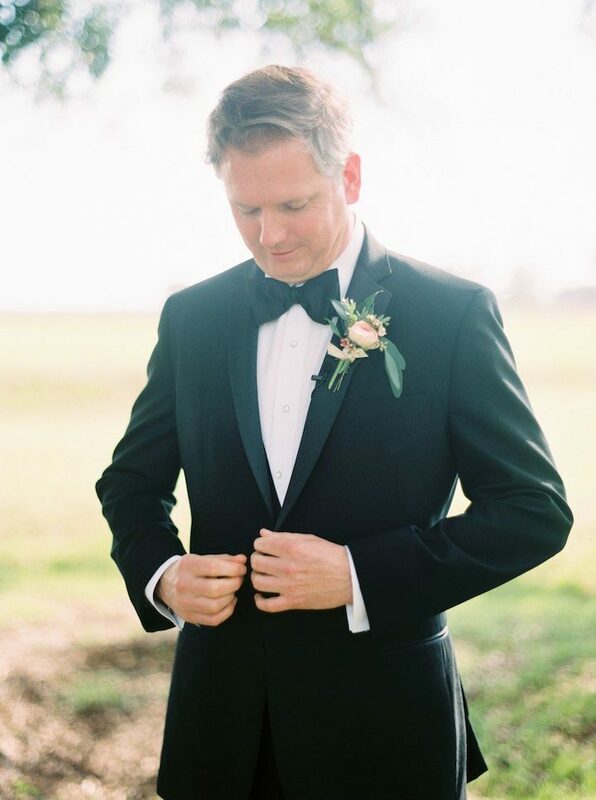 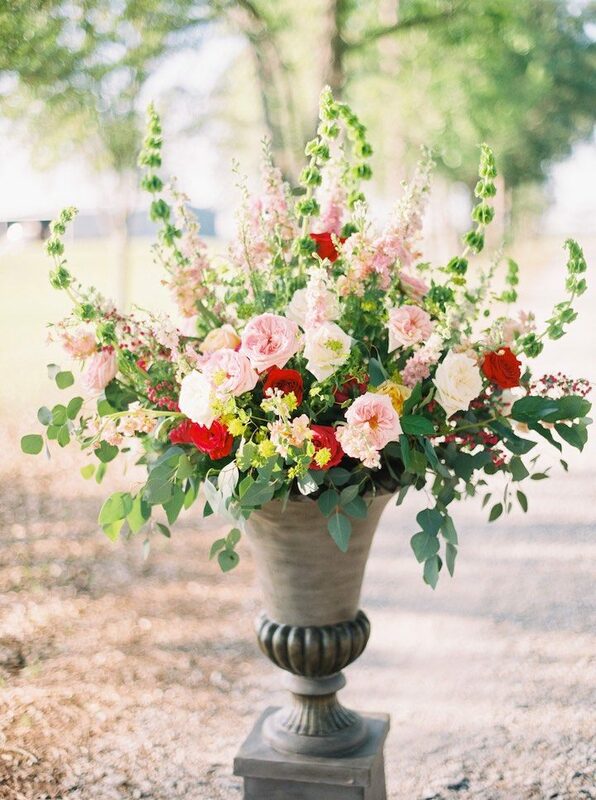 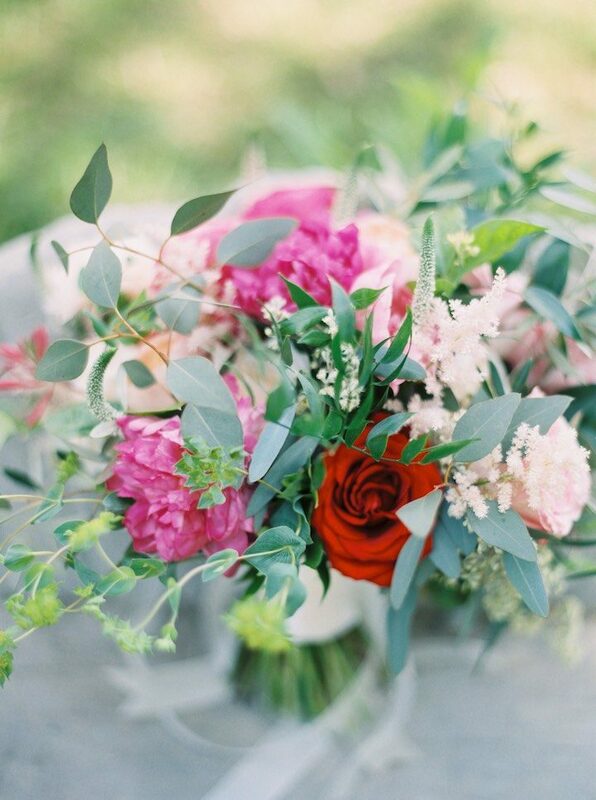 We adore the Spring garden vibes in this Louisiana wedding — see it all captured to perfection by Greer Gattuso Photography.